Let Inc. catapult your company to success. To put a business on the map, nothing beats great marketing. No matter how original your idea or ambitious your dreams, the company will stall without a plan to spread the word, build momentum, and drive sales. Through firsthand insights from founders and helpful how-to guidelines, you'll learn to define your brand, market position, and customers, then unleash the right mix of tactics through the right channels: social media, email and direct mail, content marketing, SEO, media ads, events, guerilla marketing, influencers, cause marketing, and more. Whether you've got a robust budget or you're bootstrapping your way to the top, Marketing Your Startup gives you the tools to launch an empire. 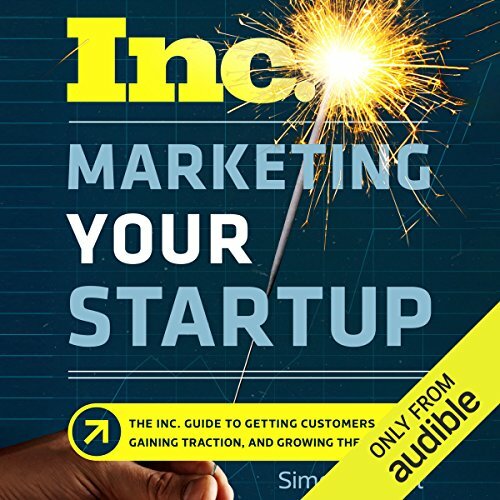 ©2018 AMACOM/AMA (P)2018 Audible, Inc.